Two of God's important qualities are sameness and uniqueness. God is the same throughout; God does not change. God is also unique; He is the Holy One. Now, in the universe, these two qualities are reconciled by the law of self-similarity. Each being is a whole made up of inferior parts as well as a part of a superior whole. Therefore, each being is similar to the whole or to God. 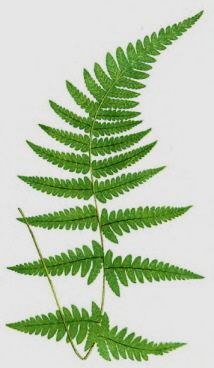 In mathematics, a self-similar structure is called a fractal. A fractal is a structure whose parts are similar at every lower level. And, although it appears simple, it is infinitely complex. When we contemplate nature, we notice that most natural forms are fractals. For example, clouds, cauliflowers, lightning bolts and trees have a fractal structure. When we analyze the form of a tree, we discover, starting from the trunk, that the latter divides itself into a certain number of branches, smaller but similar to the trunk. And, likewise, each of these branches divides itself into a similar number of branches, smaller but similar, and so on. We can see that the tree is an important symbol. It represents a whole. It is composed of branches or parts which are similar to the whole. Its branches or parts are related to each other, as well as to the whole. Each branch or part exists at a relative level. Each branch is an inferior part and a superior whole. We can therefore conclude that self-similarity relates the whole to the parts. And the differences we perceive in the universe are generated by means of scale. If everything is similar to the whole, then we may understand many things about the universe by studying one of its parts. One of the most frequently used words in the Bible is a "tree" and especially a fruit tree. How does a fruit tree become what it is? It grows from a seed planted in the Earth. And this seed comes from the fruit of an older tree which was able to produce fruit. The seed begins to grow in two directions: it sends out roots in the darkness of Earth and a stem and branches in the air and Light of the atmosphere. Then, it must produce leaves to receive solar energy from the Sun (photosynthesis). Like a human being, a tree also breathes. Therefore the tree is nourished by the water and minerals from the Earth as well as by the air and Light from the Sun. But the tree never forgets its purpose, which is to produce fruit. What does it do next? It then produces flowers. Why all those beautiful flowers? Those flowers are not just lovely to look at; they serve a useful purpose. Each flower produces certain juices for a particular fruit. Without the flowers, the fruits could never come into existence. When everything continues according to Divine order, the fruits eventually grow, ripen and mature. They are then ready to be consumed by animals and humans. But every fruit will also contain a seed or the potential existence of another tree. The truth is that every being we see in nature comes into existence in a similar fashion. It is just that, in the case of a tree, it is clearer to see. Every thing comes into existence from a seed, even minerals and snowflakes. Crystals actually grow like plants from a crystal seed. Birds, fish and reptiles grow from fertilized eggs. And mammals from sperm and egg within the womb. But how does a tiny little seed know how to grow? It doesn't; it only contains the DNA or name of the species. The tree is already there in some hidden dimension waiting to be manifested. The seed is simply providing the tree with a grounding point for spirit to flow into. It is like a lightning bolt; the electrical current will not start to flow until there is a negative ground point. But the seed contains the name or qualities of its corresponding spirit. This is why a pear seed will only grow into a pear tree. The spirit of each species is already present in the higher dimension of the spiritual world. 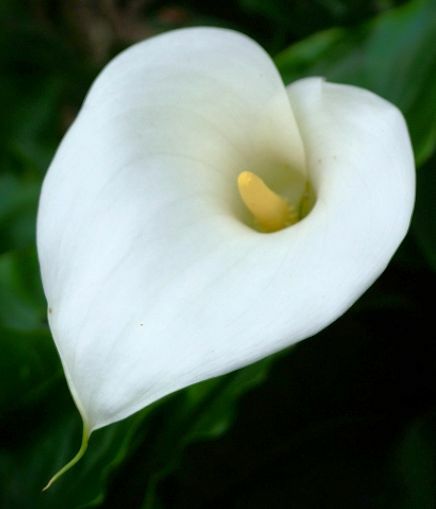 A plant is realizing or manifesting its spirit. And the body of atoms, molecules and cells is simply the garment of the spirit. Swedenborg says that the spirit of all things originates in the Spiritual Sun and the material world is the ultimate plane of the universe. This means that the effects and events of the material world simply manifest the causes and purposes of the spiritual world. Without the spiritual world, the material world would be dead; nothing would be able to grow, bloom and function. If it were not for the spiritual fields and the power of the Spiritual Sun, a seed would remain a seed. This, of course, is also true of human beings. Many people when they witness the birth of a new baby have the fondness of saying how wonderful nature is. But the truth is that nature, by itself, can do absolutely nothing; nature can only obey Spirit. And it is God who deserves all the Glory. Scientists, for hundreds of years, erroneously believed that man evolved accidentally into existence by natural selection. But why a man, why not a giant lizard? If their reasoning is accurate, a giant lizard would make more sense because it would have no natural enemies; it would eat any being that would threaten its survival. This is probably how dinosaurs evolved. But the Bible specifically says that man was created in the image and likeness of God. Therefore the evolution of man was guided and organized by the spirit and form of Divine Order which is always present in the spiritual world. Swedenborg calls this spirit the Divine Human. And he says that every being tends towards this form, even a plant, an animal or a crystal. Every being hopes to one day become a real human being. But to have the body or physical form of a human being is not the end. We only become a real human being when the form of our soul matches that of our body. We think that the words used in the Bible were simply chosen for poetical effect. But the Bible is not just a beautiful book of poetry; it is also a book of science. And so the word "tree" is not used haphazardly. Scientifically, man is really a complicated tree. 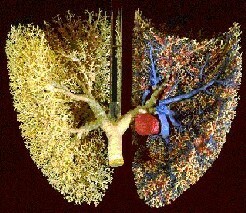 The human respiratory, circulatory and nervous systems are essentially fractals. When we flip their structure vertically, the vessels of the heart and lungs look very much like a fractal tree. Swedenborg associates them with the two fundamental aspects of the human soul: will and understanding. They are the recipients of Divine Love and Wisdom. This is why, in the Bible, man is called a tree. And the Lord Himself says that He is the vine and we are the branches. When we really look at the branch of a tree, we can see that it is essentially a miniature tree or a tree on a lower scale. But we must not start to erroneously believe that we are the tree itself. Without the One tree, by itself a branch is nothing. We can lie to ourselves but the Truth is that we are only a small branch in the Tree of the Lord. Therefore, our real life, health, wealth and power can only come from the One Tree. In fact, the Lord says that we are not only in Him; He is also in us. This means that, if we behave in accordance with Divine Order, we can have the power of the whole Tree at our disposal. According to Swedenborg, everything was created in the image of the Divine Human. Or, in other words, the Microcosm was created in the image of the Macrocosm. We heard this Truth thousands of years ago from Hermes. But he never explained what he really meant. And the only thing we are sure of is that the Microcosm is a human being. But Swedenborg, who is able to explain Truth in scientific detail, says that the Macrocosm or greater universe is actually also in the form of a human being. This is difficult for most of us to believe because when we look around us, we see galaxies, stars and planets. Why don't we see it? We don't see it because we are in a lower dimension. The Divine Human is more clearly present in the higher dimensions of Heaven. Swedenborg says that it is only those angels who reside in the higher dimension of the Celestial Heaven who can truly see God. Imagine if we were subatomic particles inside a human being. What would we see? We could never see the human being itself; instead, we would see atoms, molecules and cells in the form of planets, stars and galaxies. This is our situation with regard to the Divine Human: we see the three-dimensional cross-sections of Reality. But there is still a way that we can have a glimpse of the Divine Human. Our eyes can only see the three dimensions of our physical world but our understanding can see into the higher dimensions of spirit. When we will have attained the higher levels of understanding, we will be able to see (understand) God's work on Earth. When we witness any event, we will no longer be perplexed and troubled; instead, we will understand how this particular event fits in the Divine Plan. About the Microcosm, Swedenborg says that everything also tends towards the form of a human being. This is equally hard to believe. But this does not mean that everything is going to have the complete form of a human being. The other beings we see around us represent lower levels of the evolution of man. According to Swedenborg, in our being, we should find atoms, molecules, minerals, DNA, cells, plants, fish, reptiles, birds and mammals. This is how the human body evolved. I don't know about you but, when I last checked into my body, I could not find any plants or animals. However, when I examined my soul, I saw all the species of wildlife. Swedenborg says that, in the spiritual world, plants, fish, birds and animals correspond to our knowledge, thoughts and affections. And, in truth, many of us still do act like serpents, tigers or swine. But this should not be taken lightly. Swedenborg says that our soul is not some abstract concept; it has substance and form. In the spiritual world, we automatically project a form that corresponds to our principal love. And so those of us who truly love violence, hatred and revenge must resemble certain ferocious animals in the spiritual world. As we have evolved, the Lord has been merciful and patient with us; He has watched us behave like cruel animals, committing transgression after transgression. But, now, it is time that we wake up and become real human beings in the image and likeness of the Lord. If we succeed, one day, we will look into our soul and only find lambs grazing in beautiful pastures. What astonished and impressed me most about Swedenborg' s writings is the level of detail he goes into when he explains anything. This is because he could see that every single thing in Heaven as well as on Earth branches out into an infinity of parts. For example, a tree, as a whole, is beautiful but it is the details that make it beautiful. The works of the greatest painters are beautiful because they embody painstaking detail. In fact, when we contemplate such paintings or sculptures, we can feel the painter's intense struggle for perfection. Swedenborg says that the Lord's Holiness or beauty stems from the infinite variety of its parts. He also says that the more angels there are in an angelic society, the more beautiful is its human form and the more closely it resembles the Lord. We can notice this in the physical world also. For example, any image is composed of pixels. And the more pixels it contains, the more beautiful and lucid it appears. But, if the universe is a fractal, how many pixels does it contain? Scientists used to think that the pixels of the universe were atoms. Then they discovered subatomic particles, and later virtual particles. But virtual particles are not really in the material world; they are in the spiritual world. So there are more pixels in the spiritual world. When we include the spiritual world, the fractal of the universe really has an infinite number of pixels. But, although all those pixels are really there, the number of pixels that we see is completely dependent upon our vision or understanding. The pixels are also perfectly organized but we cannot see (understand) it. The wiser and more loving we become, the clearer, more meaningful and beautiful the universe appears to be. In fact, Swedenborg says that in Heaven, our senses become keener and more sensitive, and everything seems to glow with life. This is probably because angels see, hear and smell the virtual particles. Angels sense the universe in high definition. Physicists have discovered that virtual particles do not obey the same laws as physical particles; they have more freedom. This means that they are even more dependent upon consciousness or will and understanding. In Heaven, we actually create our form and environment through our will and understanding. The more loving our will is and the more wise our understanding becomes, the more beautiful is our form, clothing, home and environment. But, as imperfect human beings, we are still watching the universe in low definition. Why does the rose in low definition seem ugly? It is ugly because we no longer see the smaller pixels. How do we interpret this? The universe appears ugly because we do not see (understand) the details. All kinds of large and small events are taking place but our mind cannot understand how these events are perfectly connected; to us, it appears like a big and ugly blur. And yet, Swedenborg says that every detail is orchestrated by Divine Providence. The pixels of the universe are perfectly ordered. Until we can see (understand) better we have to take his word for it. But there is also a downside to understanding more clearly. We can then also clearly see the flaws in our own self. The only reason we do not see them now is because our mind is in darkness. Swedenborg says that, by the mercy of God, those who reside in the hells appear to themselves as normal human beings. However, in the Light of Heaven, the angels can clearly see their ugliness or unreality. Those in the hells have a grotesque form because their will and understanding are perverted and they have chosen to behave against the Divine Order. In the spiritual world, it is Heaven or the Lord's Holiness that is organized into a fractal. Swedenborg could see that in Heaven individual angels as well as societies of angels were in the form of a human being. And every angel represented some internal aspect of the Divine Human. For example, those in the eyes were in charge of the affection of understanding while those in the liver were assigned to the purifying of Truth and Goodness. Like a fractal, the Lord's Holiness is perfectly simple as well as infinitely complex. This means that we have to understand not only the general principles but the details as well. For example, it is true that most of us understand that we should love God, or the Lord. In fact, most of the civilized world understands that. But, in order to love the Lord or Holy One, we must also love Goodness, Truth and the Divine Spirit that emanate from Him into all angels or, in religious terms, the Father, Son and Holy Spirit. These are the first three main branches of the tree. Now, each of these branches splits into three smaller branches. In order to be good, we must love the Lord, Angels and other human beings more than our self and the world. If we love the Truth, we must not lie to ourselves, we must be sincere with others and with our conscience or guardian Angels . If we love our conscience or guardian Angels, we should behave in accordance with their guidance even to the detriment of our own personal life. Our conscience is constantly looking out for our soul, not our body; our guardian Angels want our soul to be in Heaven. These are just the first two levels of the fractal. This fractal continues to branch out until every detail of our life manifests the Lord's Goodness and Truth. Most persons will acknowledge that they love the Lord but then they behave egotistically in the details of their life. 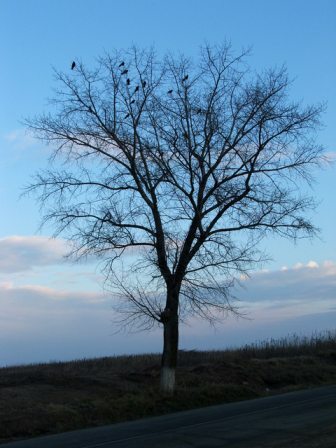 They are like trees without branches, flowers, leaves or fruits. Such trees are not very beautiful to look at. The fractal structure is also present in the musical world . In the musical octave (do, re, mi, fa, sol, la, si, do), the two do's are both the same and different. As Pythagoras discovered, the second do produces the same sound but of another frequency or scale. Now, this law of similarity holds in the whole universe. When we study the natural world, we notice that light also diffracts into seven fundamental colors, smell divides into seven categories, the natural elements order themselves in a periodic manner in groups of seven, and electrons organize themselves into shells of seven levels. In fact, the whole universe is an infinite symphony composed and conducted by the Lord. The Science of Correspondences enables us to hear the music and rejoice in it. But there must be a reason why the number 7 permeates the whole universe. The numbers beyond seven represent the same seven steps but on a higher scale. However, a complete process must include at least seven steps. In order for the process to be completed, a whole must return into itself. The realization of our soul is also a seven step process. In order to realize the Truth of our soul, we must undergo a sevenfold transformation. To transform means to become a new form. For example, in order for a caterpillar to become a butterfly, it must cease to be a caterpillar. The true self of the caterpillar realizes itself by means of transformation. As a butterfly, this true self is more fully realized. But the important thing to understand is that the caterpillar must literally die as a caterpillar before becoming a butterfly. This means that, in order to have a new form; our old form must die first. In order to be truly alive, a part of us must die. In fact, we are dying and being born every day. What do we lose when we die? We lose our old form. In our case, the old form is composed of all the false beliefs and perverted loves that we still cherish. We must destroy these distorted forms gradually. This is why we must undergo temptations in order to be regenerated; our old form is being destroyed and our new form is being built gradually by the Lord As we are progressively regenerated, our interiors more closely resemble the beautiful form or perfect order of the Divine Human. But on the seventh day, the Sabbath, we enter into the day of rest and Peace. This is why the Sabbath is so Holy; it is one of the Commandments. We are told to observe the Sabbath because it reminds us of our higher purpose on Earth. We are not here to fulfill our natural and selfish desires; we are here to fulfill our spiritual will or the will of our Heavenly Father. And the Sabbath is the day when we return into the Holiness of the Lord. Our will is then conjoined with the Goodness of the Lord. Swedenborg says that the number seven corresponds to Holiness. Can we describe a human being as a fractal? A human being is surely a whole made up of parts and a part of a greater Whole. We know that a human being is made of living cells. Each cell consists of molecules. Each of these molecules consists of atoms, But an atom consists of subatomic particles called quanta. Scientists have discovered that quanta are really the smallest physical particles. In fact, they say that a quantum only exists if it is observed by consciousness. The physical parts of a human being can be reduced to quanta. And quanta are similar to photons or Light. So a human being is really made of Light. Now, a human being is not only made of parts; he is also part of a greater whole. A human being is a part of his family. His family is part of human society. Human society is part of humanity or mankind. Mankind is a part of Earth. The Earth is part of the solar system or a star. This star is part of the Milky Way galaxy. And the Milky Way galaxy is part of a Universe of galaxies. Now, if a human being has a mind and feeling heart, shouldn't the wholes of which he is a part have an even higher mind and a deeper heart. We are inside a fractal which has higher levels. The problem is that we cannot see the higher levels of this fractal as they really are from our own level. What we see are the lower level phenomena of a higher-dimensional structure. We are in the world of three-dimensional human beings. And we can only see things from our own level, scale or perspective. The fact is that we cannot see cells, molecules, atoms and electrons as they are in their own world; we see their higher dimensions which are the spirals, planes and solids of matter. And, similarly, we cannot see planets, stars and galaxies as they are in their own world. What we see are their lower dimensions which are revolutions of planets and stars of light. Now, another fractal that we find profusely in nature is the Golden Spiral. 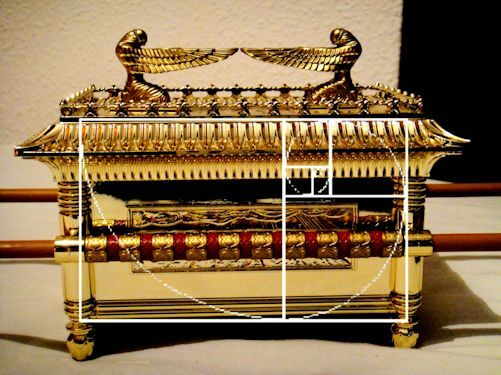 The Golden Spiral is the geometrical representation of the Divine Proportion or phi. What is interesting is that phi can be represented by mathematical formulas which are also fractals. Using their mathematical definitions, mathematicians erroneously call the continued fraction of phi "infinitely Irrational." But, in Truth, phi is infinitely rational or reasonable: it represents the fractal of the universe. The fractal of the universe is the realization of the Divine Love and Wisdom emanating from the HOLY ONE. The Holiness of LOVE realizes itself by fractally differentiating into the many and reintegrating into the Holy fields of Heaven. In Heaven, God and angels are reunited in the harmony of Love. And although each angel has a unique individuality, all angels are united to God and other angels through the uses and harmonies of Love. 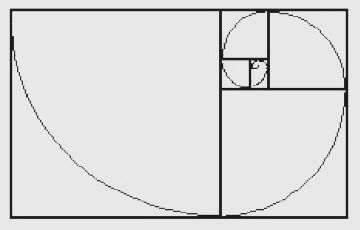 The Golden Spiral is really a picture of evolution. Now, according to Swedenborg the universe not only evolves it also involves. In other words, there is continual creation from God or Infinity. Divine Love propagates itself through the uses and forms of Wisdom in existence. And there is also a continual evolution or a return to God or Love through the joy that uses of Wisdom bring. 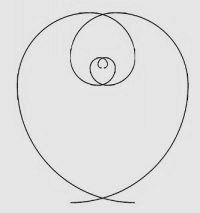 In geometrical terms, there are Golden Spirals involving into the heart of all beings and Golden Spirals blooming out of all beings and returning to God. This combination of involution and evolution, we can call realization. This picture of realization can clearly be seen in flowers and vegetables that are blooming out. 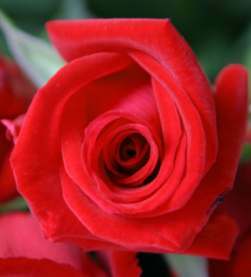 In Heaven, or in the world of emotions, it is a blooming of Love from the heart of flowers, animals and human beings. Love is a fractal harmonic implosion that connects us to the harmonic higher-dimensional fields of Heaven. When we feel the harmony of Love, we are in harmonic correspondence with God and all other loving souls in the universe. Divine Love is in fact the only center of stability, equilibrium and freedom in the universe. 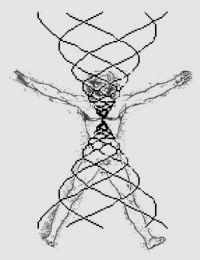 The human organism is in effect a very complex higher-dimensional vortex designed to realize Wisdom-Love. And, due to the correspondence of our natural body with our spiritual body, we can understand our soul's higher-dimensional processes by studying biological processes. On the natural level, proper digestion is the means by which we tend to stay healthy. Physically, we ingest and digest food, air and light-impressions. This is how our physical body is kept alive. The nutritive elements of food are digested by the various organs of the abdomen to produce new biological cells. What is not nutritive is evacuated as waste by the colon. On the level of the thorax, air is inhaled by the lungs to oxygenate blood cells and Carbon-Dioxide is exhaled. And, finally, we also receive all kinds of sense-impressions from the world into our brain. These impressions continually accumulate as knowledge in our memory. And, when these impressions are not in accord with our beliefs, they become toxic. We usually try to evacuate them by expressing our discontent verbally. By correspondence, spiritually, we ingest and digest affections, thoughts and perceptions from the spiritual atmosphere. Understanding (rationality) and judging (conscience) are the means by which we can properly digest these spiritual perceptions. Loving or good (unselfish) affections should be digested while evil (selfish) affections should be evacuated by means of our will or heart (conscience). Righteous or Rational thoughts should be digested by our mind (understanding) while falsities and fantasies should be evacuated. Just like poisonous food and polluted air cause indigestion and asphyxiation on the natural level, negative emotions and irrational thoughts can poison and destroy our spiritual body. In contrast, loving affections and Rational thoughts are embedded within our spiritual body and enable it to grow and strengthen. The universe is also a Divine-Human vortex where human souls are eventually ingested and digested. Righteous and loving human souls are digested and eventually embodied in the Divine-Human body (Heaven) while lustful and false human souls are evacuated into the dark realms of hell. Heaven is a harmonic higher-dimensional field that is continually enriched by new loving affections and intelligent thoughts from the creation of new angels from the human race. All memories contained in the hearts and minds of human beings can potentially increase the holiness of Heaven. The harmonic waves of righteous souls interfere harmonically (resonate) with the vortex of Divine Love and increase its reality while the discordant waves of evil souls must necessarily be evacuated because they interfere destructively. In fact, the function of angels is to maintain Heaven in a state of holiness by incorporating what is True and Good and evacuating what is false and evil. 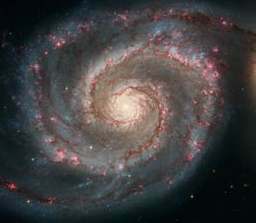 Now, it is no coincidence that galaxies are shaped like evolving and involving spirals. The universe is continuously involving and evolving. Man is a whole made of parts and a part of a greater Whole. But what is this greater Whole of which he is a part? Swedenborg says that, when he was conscious in the higher Heavens, he noticed that everything was organized in the form of a human being. Angels as well as whole societies of angels were in the form of a human being. He was then instructed that this was because Heaven was created in the image and likeness of the Lord or the Divine Human. He also says that, in the Heavens, the Lord is seen as a Spiritual Sun. From what Swedenborg has said about angels and heaven, we can perhaps speculate that planets, stars and galaxies correspond to the Heavens of spiritual space. This means that a human being has the potential to become part of a society of angels. He is not only a whole made of parts; he is also part of a greater Whole. His parts make up his body but his life, soul and spirit are a part of planets, stars and galaxies or the Heavens of the Divine Human. An individual human being's body consists of natural light but his spirit must consist of spiritual Light or the Love and Wisdom of the Lord in Heaven. Copyright © 2007-2014 A. J. Coriat All rights reserved.